NEW DELHI—Jagdish Tytler today told the court that “there was no reason for him to undergo a lie detector test”. 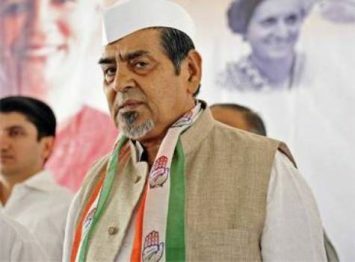 The Central Bureau of Investigation had earlier sought permission from a Metropolitan Court of Delhi to conduct lie detection test on Jagdish Tytler. Tytler is a key culprit of 1984 Sikh genocide as per testimonies of Delhi Sikhs. The CBI had sought permission from the Court in a case pertaining to killings of three innocent Sikhs namely Badal Singh, Thakur Singh and Gurcharan Singh in Pulbangash area of North Delhi by Hindu mob during 1984 Sikh genocide. Jagdish Tytler is accused of inciting these mob who killed the Sikhs. Tytler was asked to appear before the court today. While he did not appear personally, through his lawyer, he filed an application stating that the CBI plea for lie detector test was a “gross misuse of law”. He blamed the CBI for filing such pleas with “malafide intention”. S. HS Phoolka who has spearheaded the fight against Jagdish Tytler and other 1984 culprits, said that Tytler’s guilt was evident through his actions. “He had earlier favoured going through a lie detector test, but now is opposing it,” HS Phoolka told S United Sikh News. HS Phoolka awaited Tytler at the court at 4 PM today. “Tytler had been shouting before media that he is ready for ‘lie detector test’. He told PTI on 12 April 2013. So face it,” he said. The CBI had earlier given a clean chit thrice to Jagdish Tytler in the same case but the Court had again asked it to re-probe the case. CBI was directed to not to refrain from conducting lie detector test if needed besides sharing status of Investigation report with the court after every two months. A polygraph machine records the body’s involuntary responses to an examiner’s questions in order to ascertain deceptive behaviour. The test measures physiological data from three or more systems of the human body-generally the respiratory, cardiovascular, and sweat gland systems-but not the voice. The accuracy of polygraph testing has long been controversial. An underlying problem is theoretical: There is no evidence that any pattern of physiological reactions is unique to deception. An honest person may be nervous when answering truthfully and a dishonest person may be non-anxious. If you’re like most people, lying makes your heart race. It makes you pant. It drives up your blood pressure and makes you drip sweat. A polygraph machine detects lies by looking for signs of these physiological changes. The examiner typically begins polygraph test sessions with a pre-test interview to gain some preliminary information which will later be used to develop diagnostic questions. Then the tester will explain how the polygraph is supposed to work, emphasizing that it can detect lies and that it is important to answer truthfully. Then a “stim test” is often conducted: the subject is asked to deliberately lie and then the tester reports that he was able to detect this lie. Guilty subjects are likely to become more anxious when they are reminded of the test’s validity. However, there are risks of innocent subjects being equally or more anxious than the guilty.Then the actual test starts. Some of the questions asked are “irrelevant” or IR (“Is your name Fred?”), others are “diagnostic” questions, and the remainder are the “relevant questions”, or RQ, that the tester is really interested in. The different types of questions alternate. The test is passed if the physiological responses to the diagnostic questions are larger than those during the relevant questions (RQ).